Jordan Spieth, the world’s number one ranked golfer, just showed the world that he deserves that ranking still. Yes, he hasn’t even started his 2016 PGA season yet, but the prep work that he’s doing in other leagues is ensuring that his name stays relevant in the golfing community, and that when he does return to PGA action, he will be right at the top of the leaderboards. Spieth finished second overall at the Singapore Open this weekend, finishing just a stroke behind the winner, Young-Han Song of South Korea. This was Song’s first professional win, and it was an impressive win. A win over Spieth even on Spieth’s worst day is impressive, and for Song to beat Spieth in his first pro victory is a big confidence boost. This could be the beginning of a great career for the 24 year old Song. 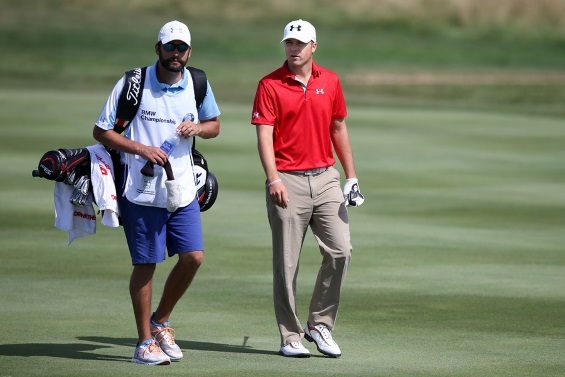 Spieth finished up the day with a birdie on his final hole, but that wasn’t enough for a win. Song only needed to hit a par to ensure his one stroke victory. In the grand scheme of things, this was a tiny tournament. The total purse was just $1 million, and first place was only $180,000. Spieth didn’t need this tourney money at all to help his career. But, because this was the inaugural year of the Singapore Open, the organizers wanted the best in the world there. He was given a reported $1.2 million appearance fee just for showing up and finishing the tourney. He didn’t even need to do well to make more than every other golfer in the tournament combined. Still, a win would have been nice. Second place was more than enough to show his fans that he’s ready to kickoff his PGA season, though. This year promises to be an interesting one, too, since his biggest rival (Rory McIlroy) also appears to be 100 percent healthy. Spieth is also quite young. He’s only 22 years old, which is phenomenal considering the career that’s he’s already had. The big concern that fans of his have is that he’s already come out and said that the 2015 season left him completely exhausted. There are signs that this is going away, but even though he’s been quiet from PGA Tour events, he hasn’t been taking time off. Spieth has been all over the world since he finished at the top of the standings last year, playing in six different countries in other leagues. Now, he begins his PGA Tour season. He’s entered in the Pebble Beach National Pro-Am tournament, but is only taking a week off between now and then. There’s a good chance that he could be coming into his PGA season without the rest that he needs, and this could make a repeat of his strong 2015 a bit tougher. Spieth is a great golfer, but he’s very young and might not have the physical stamina needed for such a tough back to back performance. Regardless of what happens in his 2016 season, Spieth has the ability to be great. He’s almost certainly going to be in the top three golfers in the world five years from now, and maybe even beyond that. But for those that are following his 2016 season, there are some reasons to be concerned, especially if you are still trying to draft a fantasy golf lineup for the year. It’s best to give him the benefit of the doubt right now and have faith that he is more than ready to begin 2016 in the best shape of his life. He has great team members, and it is not likely that they would point him to starting his season if he wasn’t.